Thinking about the creatures of the night roaming the land for one night out of the year doesn’t scare me much. What does haunt me is the thought of people not getting everything they can from their sleep and from their bedroom decor. Unfortunately this is all too real for many of us. As a small, family owned company in operation for over 48 years, we’ve helped thousands of people escape from the torture of sleepless nights and nightmarish decor with our luxuriously comfortable bedding. Meticulously crafted using the finest materials, we offer a huge variety of fabrics and products, including hundreds and hundreds of exclusive designs, prints and embroideries. If you’re currently struggling with your own bedroom decor, there is no need to fear. At Schweitzer Linen, we help customers create personal sanctuaries in rooms across the globe where they can rest, recharge and relax in ways they never thought possible. Rooms where they can wake up feeling more energetic, more positive and happier overall. We’re sort of like the house on the block that gives out full-sized candy bars every year. It’s the one house you never want to miss because they never fail to disappoint—that’s Schweitzer Linen. Anyone who has bought from us in the past can tell you, there is nowhere else where you can get so much quality at such an amazing value. Whether it has been a while since you changed the bedding in your home or you just want to give your room (and life) a much needed refresh, you’ll want to make sure these five scary things aren’t part of your bedroom routine. There’s a reason it’s recommended you wash/change your sheets every week. Not changing them enough can lead to nasty goblins like bacteria, breakouts, dust and other unwanted effects. If you’re too busy and can’t wash them once a week, we recommend keeping a few sets of pre-washed sheets lying in wait to make the transition easier. Plus, adding a new style and color scheme each week can really boost your mood and keeps things fun, interesting and inspiring. Even if you do have a steady cycle of clean sheets and bedding in place, it may not matter if the bedding isn’t made well. Bedding that suffers from lower quality won’t take long to break down. So many customers come to us after they’ve spent their hard earned money on sheets from other stores, only to watch them fall apart too soon after purchase. Our fine linens and fabrics are finely crafted the same way they’ve been crafted for over 4 decades, the right way. Carefully and lovingly with a passion for every single stitch. You’ll enjoy a comfort, quality and beauty that lasts and lasts and will continue to give you peace and pleasure for years to come. Our suggestion: Keep a few of our most popular bedding sets handy like our Brooklyn, Buckingham and Impressions collections, and you’ll always have a clean, well-dressed bed that you (and others) will admire on a daily basis. Forget Halloween spirits, what’s really horrifying is how many people right now are starting and ending each day with the wrong color scheme or patterns in their bedroom. Having the right color and design in your bedroom can be the difference between an incredibly beneficial environment or a severely limiting one. In fact, the wrong colors and design can deplete you mentally, spiritually, even physically. Letting something that can be so easily changed do that kind of damage is something we can’t stand by and watch. We believe your bedroom should help you feel your best every time you are in it–whether that’s feeling calm like our Lighthouse collection, energetic like our Narraganset collection, confident like our Fresco collection, or breathtakingly beautiful like our Bonacieux collection. However you want to feel each day, your bedroom decor should give you the best chance to achieve that. We have hundreds upon hundreds of original designs that you won’t find anywhere else. So finding the right one for you is easy. Even if you’re looking for something custom made, just give us a call and we can create the specific bedding you need to create a perfect sanctuary. 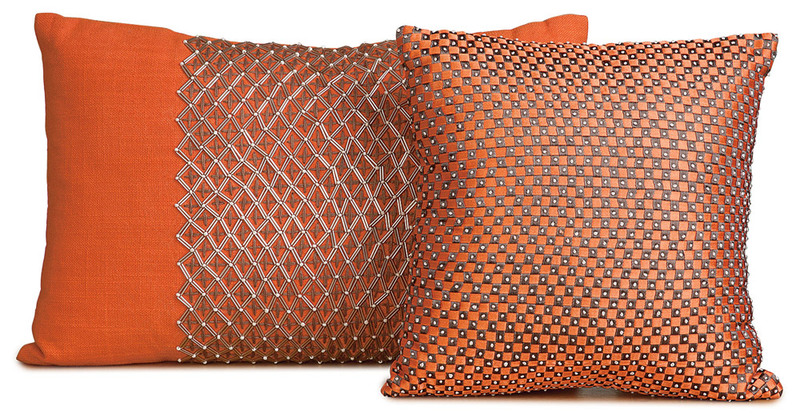 In addition to our extensive collection of sheets, you’ll also find matching decorative pillows and coordinating designs for shams, neck rolls and bed skirts that will add an elegance and refined sense of style to your room. The effect these can have on your bed are astounding. The room instantly feels different–and you will too. Here’s something eerie to think about. We spend one-third of our lives in the bedroom. What’s so eerie about that is that many of us are spending all that time without the right kind of comfort. The kind of comfort that would provide us with better sleep and a happier, healthier experience. The kind of comfort we all deserve. Sadly, many of us continually deny ourselves this level of comfort even though getting it is not as hard (or costly) as you think. 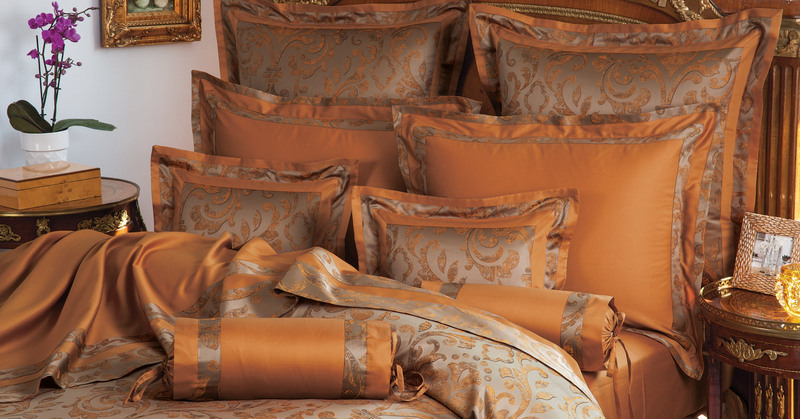 From the finest linen to Egyptian cotton sateen, we have the premium fabrics and thread counts to meet all your needs. 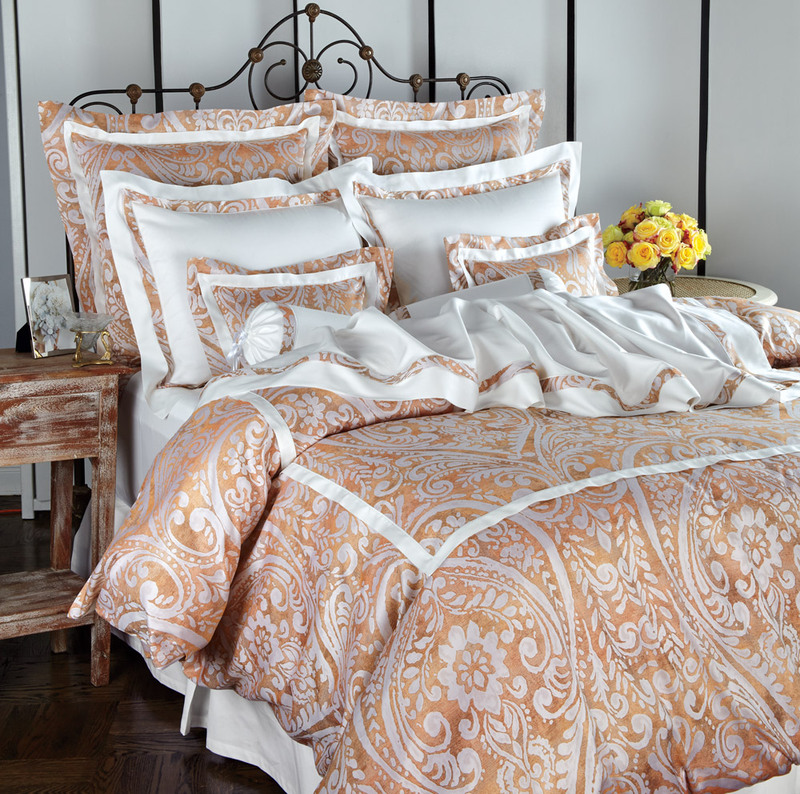 You won’t find softer, warmer, more luxurious bedding anywhere else. It’s the kind of comfort that you want to cuddle up to after a scary movie. That’s because high quality sheets help you achieve high quality coziness. The cozier and more comfortable you are, the better you’ll sleep and the less likely you’ll be to toss and turn and wake up at all times of the night. This also means you’ll enjoy a higher quality waking experience. Ask yourself this, how would your life change if each morning you woke up more refreshed with a more positive attitude towards the day? From personal experience and decades of customer testimonials, it can change a whole lot–and it’s all there for the taking. Unless you’re in an environment where the weather does not change much, alternating temperatures can significantly affect sleeping patterns. Not having enough warmth when it is cold outside is a good prescription for a bad nights sleep. Just as important, bedding shouldn’t be too warm. The trick is finding the right balance. Once you do, trust us, the treats that follow are ones you’ll get to enjoy for a very long time. This is why we carry so many different kinds of comforters. From cotton, wool, silk and down all hypoallergenic, super thick to elegantly light, finding the right level of warmth is key to solidifying a wonderful nightly and daily experience. We also carry blankets and throws that not only add an additional layer of coziness but bring in beautiful styles and colors to take your bedroom decor to the next level. 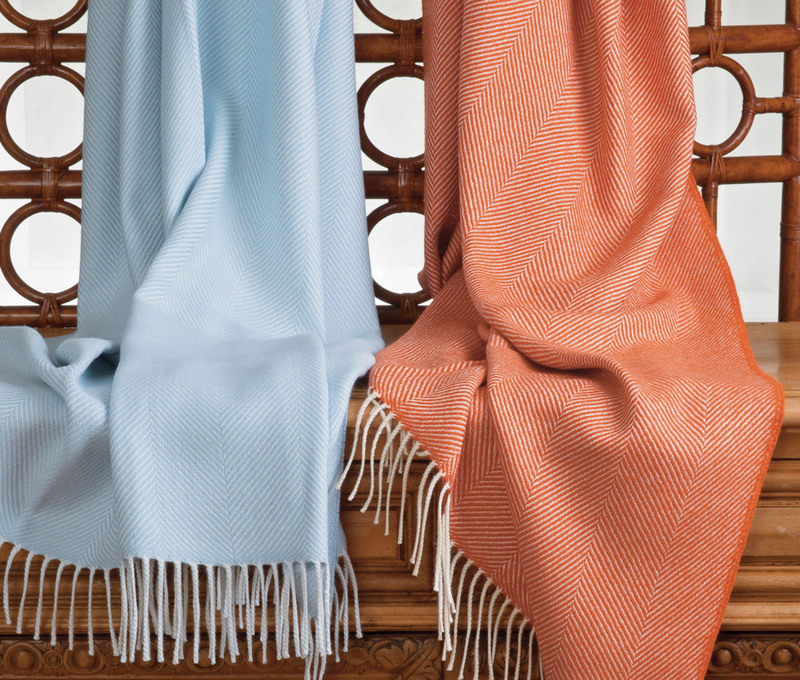 Cashmere, merino wool, lambswool and alpaca are the luscious fibers of our collection. If you do live in a warmer environment and don’t have to worry about those chilly nights, or when the temperatures start to rise many months from now, be sure to check out our huge variety of light and airy linen sheets. They’re naturally moisture wicking, cool and breathable. It’s like sleeping in paradise every night. Life is a journey with struggles and obstacles along the way. We all face them, even if they may not be the same. We started this company a long time ago because we truly believe everyone deserves to live happier. The one place where we should all be able to do that is in our homes. Too many people don’t feel completely at home in their environment. There is something about their room that just isn’t right. They either don’t sleep as well as they should or don’t leave the house feeling as good as they should. We can’t change everything in your life but we can ensure that your bedroom complements you and your taste to give you the pieces, the styles and the comfort you need to find more joy and contentment in every day. You should feel perfectly at home in your bedroom. If you don’t right now, let us help you get there. One of the scariest things we can think of is living a life that feels incomplete, uninspired, boring. We have 48+ years of experience turning people’s drab bedrooms into their favorite place in the world. And we have a long list of satisfied customers that keeps growing every year because they realized they didn’t need to settle for mediocre. Now it’s your turn. We only live once, so make it count and make sure you are getting everything you need from your bedroom experience.